DAVE HOEKSTRA dhoekstra@suntimes.com April 27, 2012 9:20PM Youths pick olives UrlTurkey’s 2009 International Olive Peace Festival. A second festival is works for fall. The out-of-the-way Youths pick olives at Urla, Turkey’s 2009 International Olive & Peace Festival. A second festival is in the works for the fall. The out-of-the-way seaside tourist town has a peaceful vibe. URLA, Turkey — Every country has an outpost for free spirits and dreamy renegades. 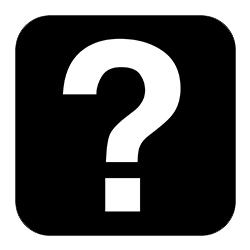 There’s Key West, Fla., in the United States. And Amsterdam in the Netherlands. Last month I bummed around northwest Turkey and stumbled across the village of Urla (pop. 50,000). It is a spot-on Turkish version of Key West. Urla rests on a scenic bay with pleasure boats and fishing boats. The air was crisp and skies were a hypnotic azure. You had to seize the moment. The center of town is on an isthumus that jets north toward the Gulf of Izmir. The afternoon ezan (call to prayer) could be heard for miles, summoning believers to the town mosque. A warm Mediterranean breeze shapes Urla as a tourist destination for seven months of the year when the population swells to 200,000. There are no margaritas, however. Urla is a district of Izmir province along the Aegean sea coast in Turkey, a country surrounded by sea on three sides. ? Local archeologist Osman Erkut is researching wooden ships that have sunk near Urla. His 360-degrees Arastirma Grubu is building a replica of the Uluburun trade ship that sank 3,300 years ago off a cape in southwestern turkey. A sponge diver discovered the wreck in 1982. The majestic ship was carrying a bootie of 20,000 pieces of amber and gold jewelry and war tools that represented cultures from Cyprus, Egypt and Nubia among others. The Ulburn II replica is being built old school (shell first method), planks first then frames without nails. This summer Erkut plans to travel the Greek Isles with a windsail he is building himself, complete with a throwback wooden anchor. Erkut and his crew wants to understand how ancient mariners transported wine and olive oil. ? Local doctor Levent Kostem is in the process of opening an “olive oil technologies” museum in a building about the size of a small Wal Mart. The building is filled with olive oil artifacts and paintings he has collected over the years. There’s old pressing machines, ovens, crushing systems and soap technologies. He travels to places in Turkey where he has heard about vintage olive workshops. He transfers the pieces, including bricks, to his museum and reassembles them to spec. This is his hobby. I was most impressed with his replica painting of the olive oil workshop that was the setting for the circumcision ceremony of Sultan 3rd Murat’s son Mehmet. ? Most stirring is the Klazomenai olive oil workshop, the second oldest olive oil shop in the world behind a site in Israel (www.urla.bel.tr). The Ionians set up shop here 2,500 years ago. The olive is regarded as a world wide peace symbol. I met some gentle folks from the A.H.A. Bilim Primary School in Urla. They started an olive oil workshop for children at the historic olive oil site. The children represented four countries, including Italy. They made the olive harvest together, they pressed the olives in their own mill, using techniques that were 2,500 years old, bottled the olive oil and designed their own peace-themed labels which they affixed to the bottles. The archaic city of Klazomenai in Ionia was discovered in 1995. The olive oil factory was rebuilt to spec in coordination with Ege University in Izmir. The Turkish government paid for excavation and restoration. The Olive Oil Times in Istanbul suggests the Klazomenians may be the first to have used a technology of a continuous production system with stone cylinders running around a spindle to crush olives. Visitors to the small museum can try this method first hand on a replica cylinder. I did. Dreams never go around in circles. “Everything starts with dreaming in life,” said museum project coordinator Ingilizee Ogretmeni. “This museum started with dreams as everything. In 2000 I began to dream about planting olive trees and establishing a museum. I started to plant olive trees in 2004, and I have planted 11,000 olive trees since 2004. I took care of them by myself. While I was planting the trees, I also began to work on the museum. First, I thought it conceptually. As the place we live in is inside the borders of Klazomenai, which is one of 12 Ionia cities, it should include Klazomenai.” The wood frame museum is small in size but big in heart. The countryside is breathtaking, and I bought into the progressive attitude I felt in a daylong visit. Upscale capers have been traded off for a down-to-earth lifestyle inspired by the timeless spirit of the olive. 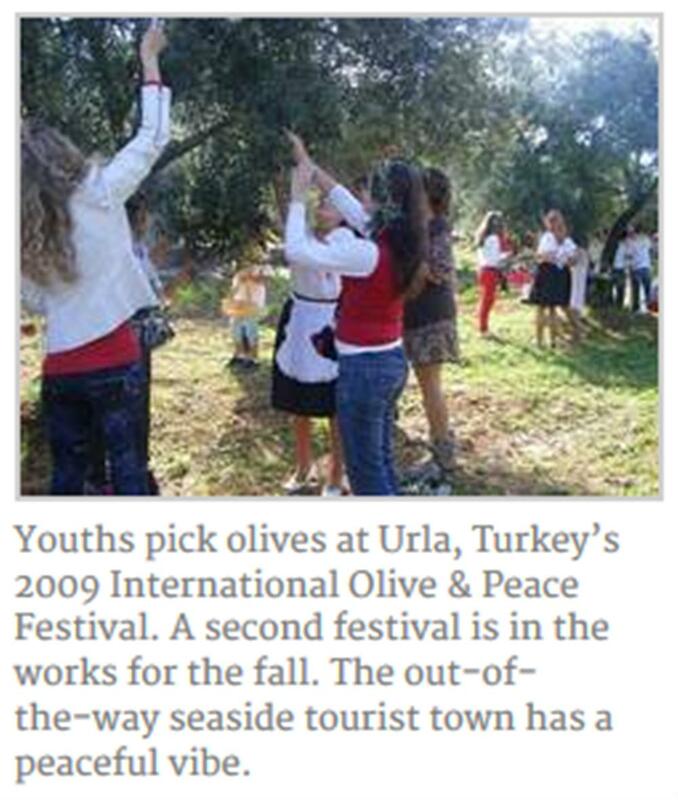 In November 2009 Urla hosted its first international festival, The International Olive & Peace Festival. The three day festival was geared to children and featured a parade through the city of Urla with the Izmir Muncipal Marching Band. Children, dressed in white, released doves as a peace gesture. Organizers are preparing for another festival in this fall. The symbol of the swan was engraved on the face of a coin that was found during the excavations of the Klazomenai archeological site. The swan represened Urla. Below the swan is the olive, a symbol of abundances and above the swan is the olive branch, a symbol of peace. Urla is not easy to get to. It is about 400 miles from Istanbul. You have to fly from Istanbul to the hipster city of Izmir and rent a car. But the effort is worth the great memory of a modest proposal of peace.